This round table series will feature local business representatives who will discuss strategies for business ownership, entrepreneurship opportunities, and business behavior development. The USA Gymnastics Xcel Program is a program offered as an alternative program for competitive gymnasts. All of the gymnasts participating in the Virginia Xcel State Championship have qualified through a series of local competitions. Gymnasts vary in age, from 5 years-old to 19 years-old. 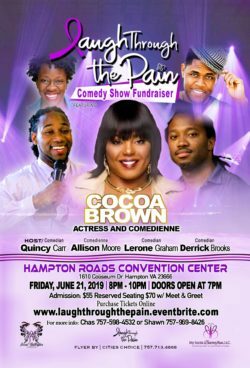 After you're done rocking with Maxwell on Friday Walk on over to the Convention Ctr for the Welcome to the 757 Official Jazz Festival After Party 9pm-2am. This youth-based round table led by youth will feature Generation Z or the Post-Millennial Generation who will share thoughts and insights about year 1619 and how learning about the events of that year frames their thinking about American society and racism. 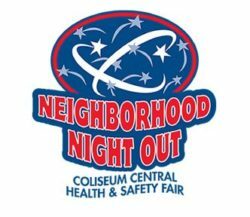 The Coliseum Central Neighborhood Night Out Health & Safety Fair is a free day of family fun! Hampton law enforcement agencies will provide child identification kits and have vehicles on display. The day will also feature inflatables, a rock climbing wall and area businesses providing information related to health and safety. 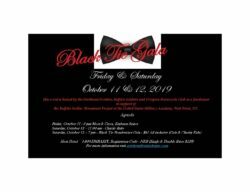 Presented by the Historical Foundation of Aberdeen Gardens, this annual event celebrates its thirteenth year with dinner, a guest speaker, awards, door prizes, and music. All proceeds for the Dinner Dance will be donated to support the establishment of a new Buffalo Soldier Monument at the United States Military Academy (West Point), that will celebrate the distinguished service of the Buffalo Soldiers assigned to the Academy Cavalry Detachments from 1907 to 1946. THURSDAY KICK OFF 11.07.19 This night features Boney James, Jackiem Joyner, Paul Taylor, Julian Vaughn, Marcus Anderson*. Doors open at 5pm for VIP only. Special Reserved and General Admission Doors open at 5:30. Featuring Trombone Shorty & Orleans Avenue, Peabo Bryson, Gerald Albtight, The Blackbyrds, Karla Curmp (VIP Entertainment) Doors open at 12:30 for VIP Lunch. Special Reserved & General Admission Doors open at 1:30.